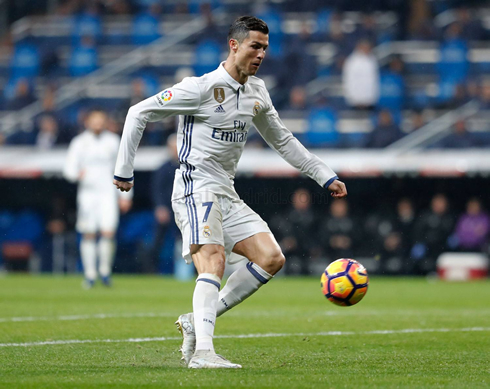 It ended up being a great weekend for Real Madrid, who not only kept the 3 points after beating Real Sociedad 3-0 at the Bernabéu, but also capitalized on Barcelona and Sevilla dropping points. The leaders are now 4 points on top of both of their rivals. With 4 wins, 2 draws and 2 losses, January sure wasn't a dream month for Real Madrid. 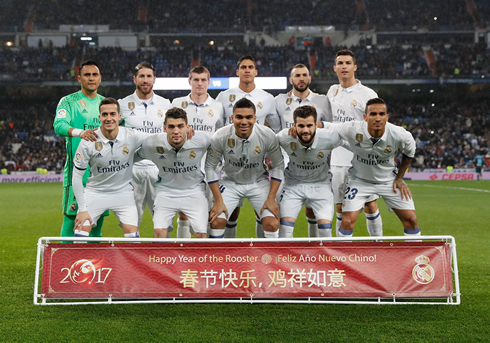 Nevertheless, it's also true this Sunday's 3-0 win over Real Sociedad did help putting a smile on Madridistas face once again. Zinedine Zidane's men have now increased their lead to Barcelona and Sevilla into a 4-point gap and they still have one game in hand that could eventually allow them to stay 7 points above their rivals on the league table. Tonight, the Merengues started securing their win with a goal in the first half from Kovacic and after the break, it was time for Cristiano Ronaldo to score again at the Bernabéu and for Morata to wrap things up by setting the final score in 3-0. On the back of a bad week for Real Madrid, where their Copa —and more importantly their treble dreams — faded, today represented a very important match day for Los Merengues. It was a match that was made even more important as both Sevilla and Barcelona dropped points earlier this Sunday. In fact, Real Madrid became the only team in the top 5 not to drop points this week. The 3-0 victory tonight over Real Sociedad was well received and the team seemed to grow in confidence as time went on. Kovacic, Ronaldo and Morata were on the scoresheet, as Madrid pulled four points clear of Barcelona and Sevilla with a game still in hand. Ronaldo started very sloppily, but got better as time progressed. His assist to Kovacic and his goal should give him more confidence heading into the next couple of games. And it seems as if the team follows him as well. Everyone looked far better after Ronaldo's second goal. Benzema was again poor and it's becoming a bit alarming for Madrid fans. His work ethic (or lack of it), is really beginning to show more and more, there's just no urgency in his attacking play and Madrid may really start reevaluating their attack this summer. A special shout today goes to the defense however. It was a particularly great game from them. Danilo, Varane, Ramos, Nacho and Casemiro did a great job shutting down La Real's attack. 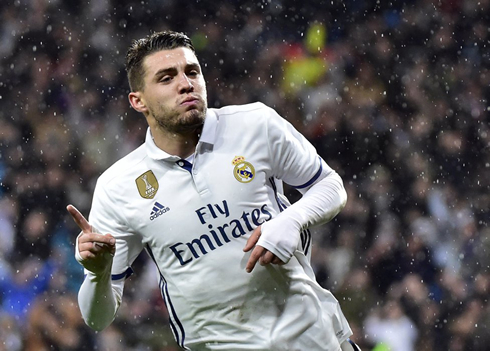 Nevertheless, it was Kovacic who deserves the MVP award tonight. It's a bit unfair to compare him to Luka Modric at this early stage of his career, but his combination of strength, skill and technical ability makes him a massive asset to the team and today, he basically ran the midfield almost on his own. 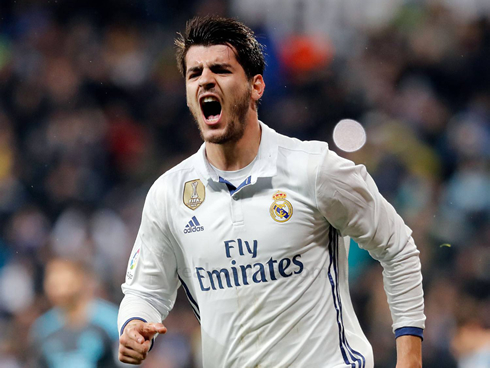 The last goal of the match came from Morata, who seems to perform far better when he comes on from the bench than when he does play as a starter. Overall, it was a great game for Madrid on the whole and they'll definitely be happy considering how badly the rest of the top 5 performed this weekend. 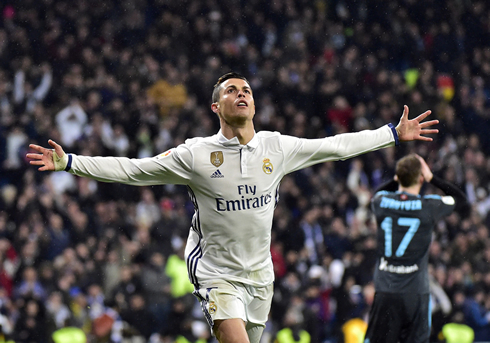 Cristiano Ronaldo next game is a La Liga fixture, on February 5 of 2017 against Celta de Vigo. You can watch Juventus live stream, Celta de Vigo vs Real Madrid, Atletico Madrid vs Barcelona, Liverpool vs Chelsea, Arsenal vs Watford, and Sunderland vs Tottenham, all matches provided from our soccer live game pages.